The Met has forecast less rains in the next 24 hours till Saturday, which is expected to aid the rescue and relief operations taken up on a war footing. 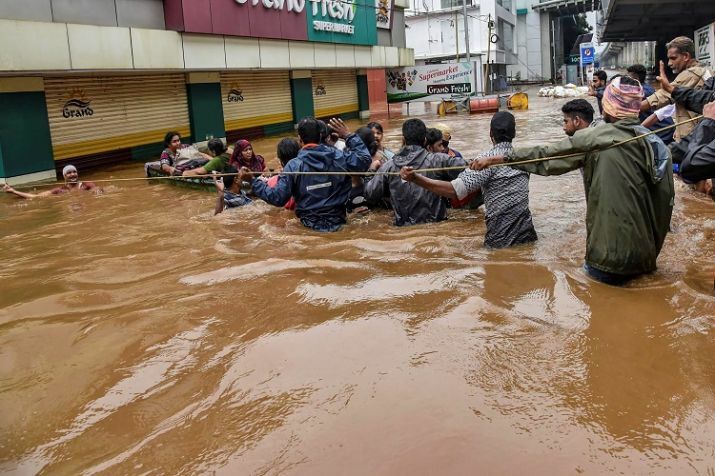 Thiruvananthapuram: More than a dozen helicopters, hundreds of defence personnel, NDRF teams and ordinary fishermen with their motor boats on Friday launched a massive rescue operation in Kerala as rains subdued and the death toll touched 167 in 10 days. There were six new deaths reported on Friday. 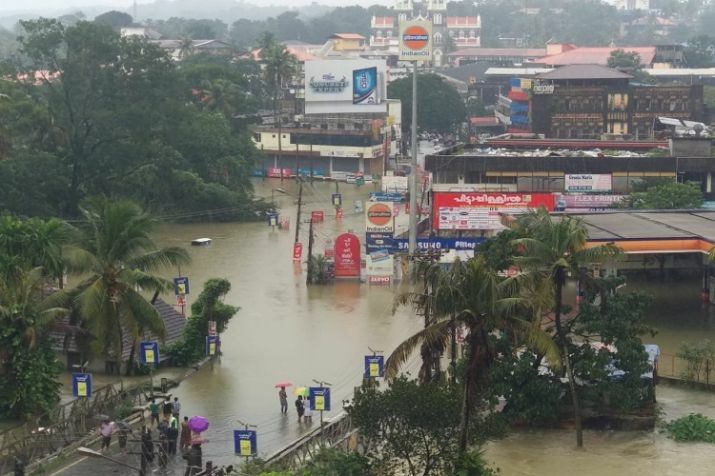 Although the intensity of rains decreased in several districts since Friday morning, waters from the big dams in Idukki district continued to be let out keeping 13 districts in red alert, except for Kasargode. Waters from the Periyar river and its tributaries kept many towns in Ernakulam and Thrissur submerged. The worst affected include Paravur, Kalady, Chalakudy, Perumbavoor, Muvatupuzha. Prime Minister Narendra Modi on Friday discussed the flood situation with Chief Minister Pinarayi Vijayan over the phone and said he would be heading to the state later in the day to take stock of the situation. There are 2.25 lakh people put up in 1,568 relief camps all over the state, Vijayan said on Friday. 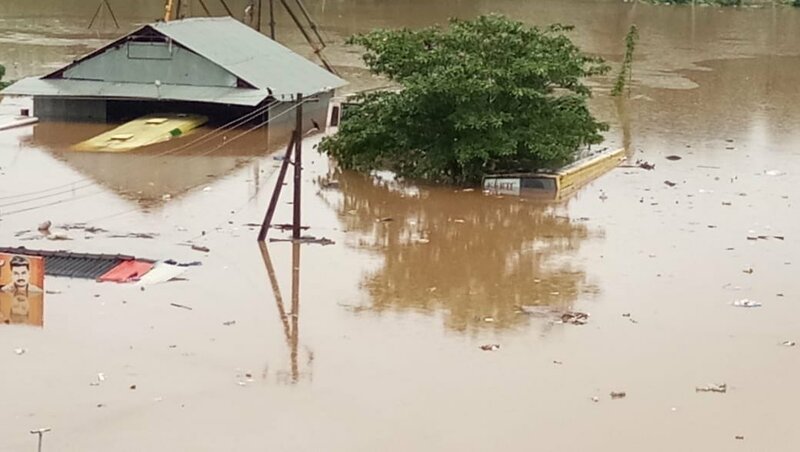 The central districts of Pathanamthitta is facing its worst ever calamity as the overflowing Pamba river has inundated several towns, including Ranni, Kozhenchery are completely submerged. On Friday, Achenkovil river started overflowing into the Pandalam town. 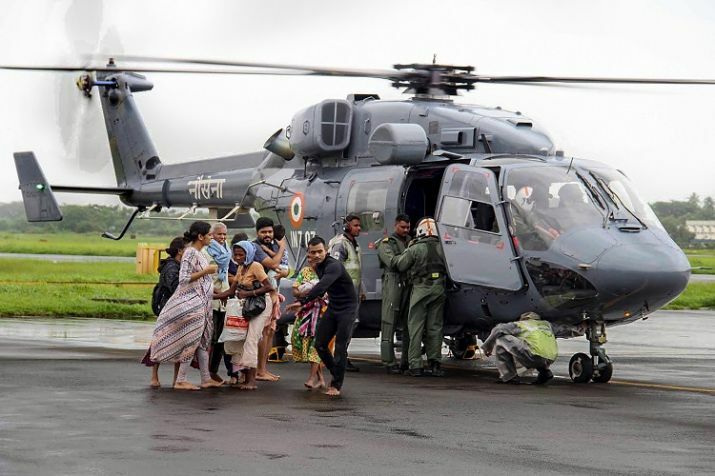 Helicopters filled with food packets left the state capital and headed to the central districts as the number of displaced people crossed lakhs. The authorities in the worst affected districts have taken over big lorries which can best navigate through the flooded roads to reach people marooned in small pockets. 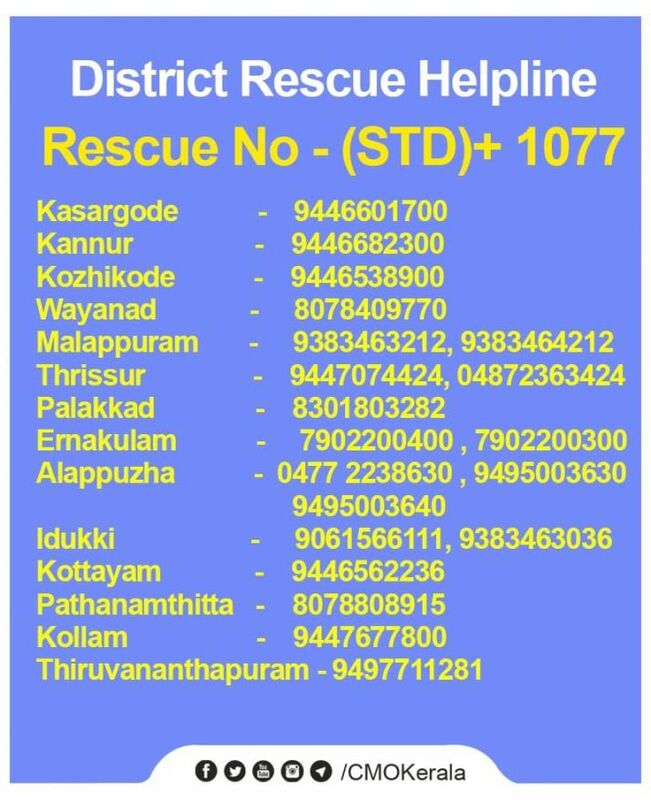 The Kerala government has issued helpline numbers for the affected people. Relief operations are progressing well in Malappuram, Kozhikode and Wayanad. The latter two districts have put up over 20,000 camps. Major national and state highways as well as the rail traffic continued to be disrupted in various parts of the state. Railway operations between Ernakulam and Thrissur is suspended; while the Alappuzha sector is open to Thiruvananthapuram, but the Kottayam sector is closed. The Centre has launche Massive relief ops underway d a massive relief and rescue operations in flood-hit Kerala, involving the three defence forces and other agencies, even as Cabinet Secretary P K Sinha chaired a high-level meeting following a directive from Prime Minister Narendra Modi. 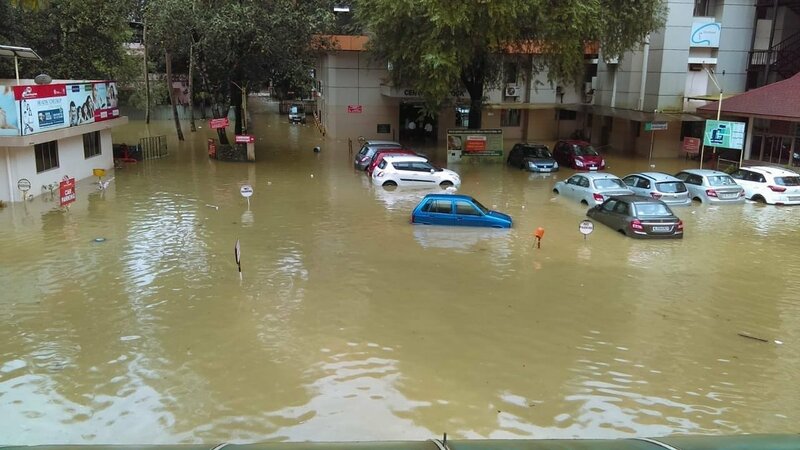 Besides the Army, Navy and the Indian Air Force, the Coast Guard and the National Disaster Response Force have been asked to mobilise additional manpower, boats and helicopters to scale up the rescue and relief operations, a home ministry spokesperson said here. Food packets and drinking water are being rushed to Kerala for distribution among the people in 14 worst affected districts, while additional NDRF teams are also being sent to the state to assist the local administration in operations. The cabinet secretary chaired a high-level meeting to review the flood situation and rescue and relief operations in the southern state following a directive of the Prime Minister, the spokesperson said. The meeting was attended by Union Home Secretary Rajiv Gauba, top officials of the Ministries of Defence, the National Disaster Management Authority and the NDRF. It was decided that the Chairman of the Central Water Commission will monitor the situation at the Mullaperiyar dam in Kerala in view of the rising water level and continued heavy inflow. The Prime Minister has spoken to Kerala Chief Minister Pinarayi Vijayan this morning and discussed with him the flood situation. Modi had spoken to Vijayan yesterday too. Union Home Minister Rajnath Singh too had a telephonic conversation with the Kerala chief minister this morning on the prevailing situation. Singh had spoken to Vijayan twice yesterday. During his visit to Kerala on Sunday, the home minister had announced a Rs-100 crore immediate assistance package. transport system in many parts of the state with the southern Railways and Kochi Metro suspending operations. 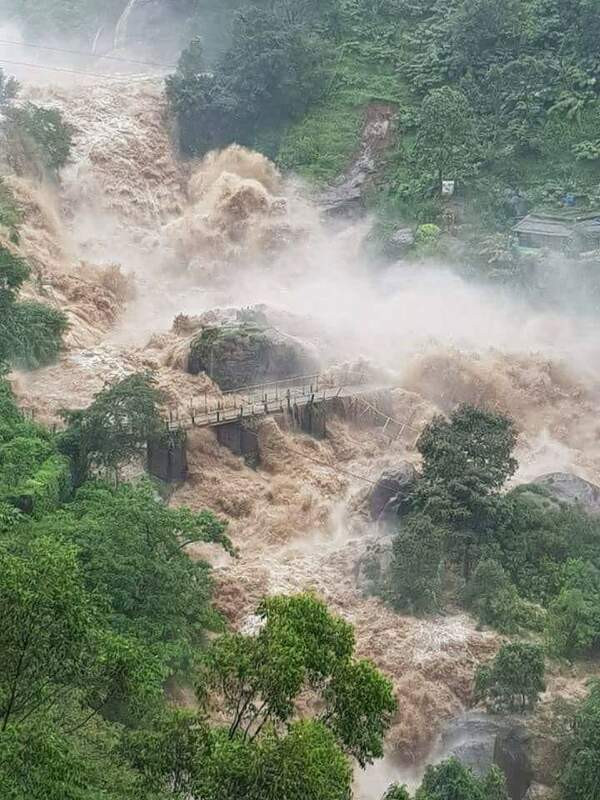 Palakkad district police sources said the five persons were killed in Nenmara while two were rescued, taking the death toll to 72 in the current phase of Monsoon fury. 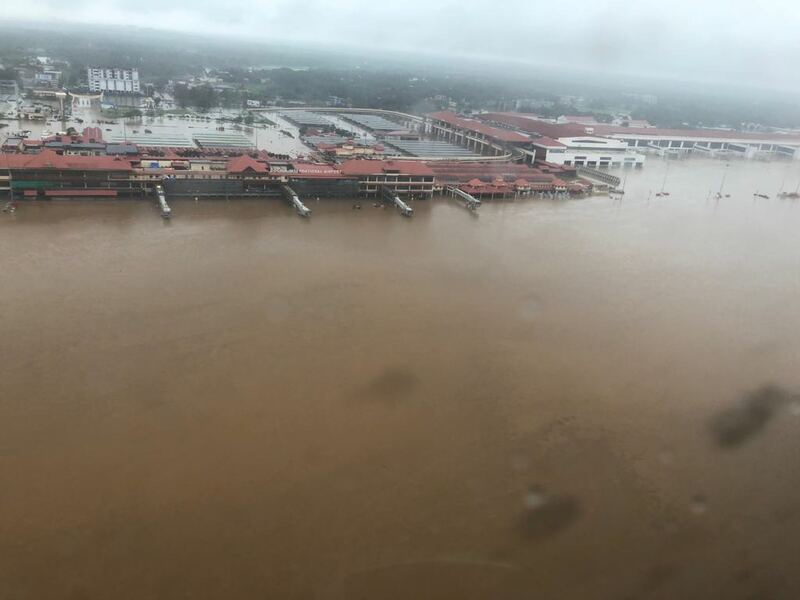 The Cochin International Airport today suspended all flight operations till Saturday as water entered the airport area following continuous rains and the opening of dam shutters in the Periyar river. Weathermen have warned of heavy rains accompanied with gusty winds with speed reaching 60 kmph in all the 14 districts of the state. 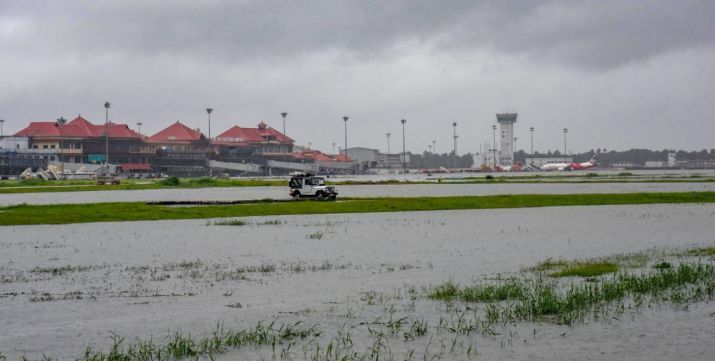 "Kochi Airport operations have been temporarily suspended till Saturday 2 pm as the inflow of water is still on a rising trend. We are working hard to drain out the storm water," an airport spokesperson said. He appealed to all to cooperate. Suspension of operations created problems for passengers who had already reached the airport to catch flights. They complained of not getting any assistance from any authorities. The decision was taken after shutters of the Idamalayar and Cheruthoni dams, part of Idukki reservoir, were opened last evening to release excess water. The airport is situated close to Periyar river bank. The public transport system collapsed in many parts of central Kerala with the Southern Railways and Kochi Metro today suspending their operations due to floods. 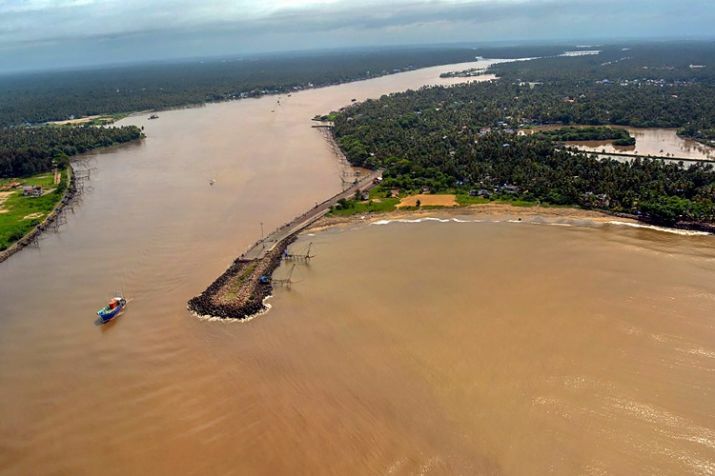 "Due to rise in water level at Bridge No 176 on Downline between Angamali and Aluva, The services on this bridge is suspended," a Southern railway spokesman said in a statement. Konkan Railway also cancelled five trains emanating from Kerala, following the flash-floods in the southern state, a spokesperson said. The cancelled trains are train no. 12202 KCVL-LTT Garib Rath, train no. 16346 TVC-LTT Netravati Express, train no. 12617 ERS-LTT Mangala Express, train no. 19424 TEN-GIMB Humsafar Express and train no. 22114 KCVL-LTT Express for August 16. 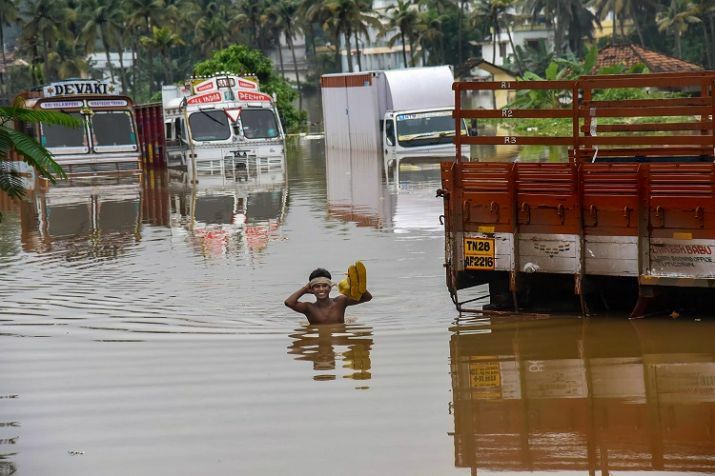 The Odisha government has announced a financial assistance of Rs 5 crore for flood-ravaged Kerala, where the death toll in the second spell of monsoon fury since August 8 has risen to 75. Chief Minister Naveen Patnaik talked to his Kerala counterpart Pinarayi Vijayan over telephone, following which the financial aid was announced, the CMO said. Patnaik also offered any other kind of support required to tackle the calamity, as Odisha has expertise in dealing with disasters like flood and cyclone, it said. The Supreme Court Bar Association (SCBA) has donated Rs 30 lakh to the relief fund for Kerala flood victims. In a circular issued by the SCBA, it also called up on its members to contribute "generously" towards 'SCBA Calamity Relief Fund' that has been set up for this purpose. It said a corpus of about Rs 30 lakh lying in the account shall be transferred for Kerala flood relief operations. Telecom operators have announced free calls and data, extension in bill payment due dates and other relief measures for subscribers in flood-hit state of Kerala. Reliance Jio has announced free services for seven days while BSNL is offering unlimited free calls within its network and data services along with 100 SMS per day for a week to customers. Telecom major Bharti Airtel has offered Rs 30 talk-time credit and free 1GB data for pre-paid customers for seven days. BSNL is offering 20 minutes free call everyday on other network for seven days in the areas that are effected by flood, company's Chairman and Managing Director Anupam Shrivastava said.